​Cardi B has gained extreme success since her smash hit Bodak Yellow blew up. Now, she's taking the world by storm- performing at Coachella, on Saturday Night Live, and her debut album hasn't even been out for a week yet. 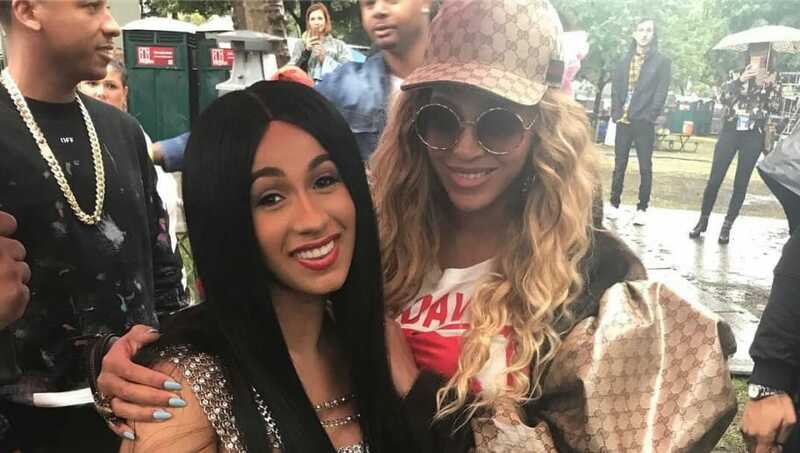 But just like many celebs, Cardi still gets starstruck with those she admires. In her latest interview with GQ, Cardi actually described herself as "too shy" when it comes to meeting other famous people. And when she recalled meeting Queen Bey for the first time, it honestly doesn't sound like the greatest meeting. But Cardi better get used to meeting legendary artists, as countless talents have sent their support for her, her pregnancy, and her album Invasion of Privacy in the past few days. She ​says the love she's receiving is "overwhelming," and we're so happy for her. It's a great time to be Cardi B, starstruck or not!